94% of Fortune 500 companies have either adopted iPads or are rolling out pilot programs. Faced with an increasingly mobile work environment, forward-thinking businesses are being forced to adapt to new communication technologies and norms. While many have already implemented Bring Your Own Device (BYOD) governance strategies and security programs, others have yet to embrace the tablet as a viable option for business. 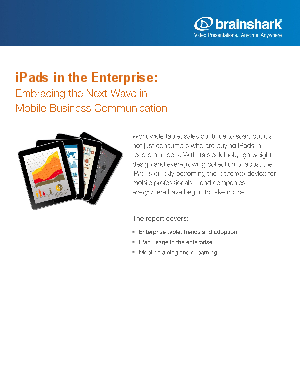 This report examines enterprise tablet adoptions and trends, iPad usage in the enterprise, and the benefits of leveraging the iPad for sales, training and corporate communications.